Participation is a key focus of all National Governing Bodies, for them participation equals funding. School sport can learn from the developments made by NGBs, to make training more fun. 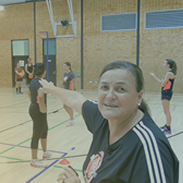 The key learnings revolve around, understanding the learning styles of students, keeping players involved and active throughout a lesson and no more standing around being lectured at length. We have 1000s of Sports Drills available at our disposal in order to keep your lessons fun and engaging. Even better, with Sportplan Schools membership, you also get access to Sportplan Agility and Fitness, filled with 100s of different warm-up and cool-down ideas. Plus now with the Sportplan App, you never have to leave the staff room to find new ideas or access school resources, all teachers can have personal access! It is easy to find new ideas to make lessons fun and engaging. All schools get access to our back catalogue of over 500 ready to use tried and tested teaching plans, (worth over £2000), ideal for games teachers to grab and go, and perfect for non-specialist sports teachers tasked with delivering an afternoon sport. Visualise the entire lesson before going out to coach.